Without a passable road, potable water or electricity, and virtually cut off from the rest of society, they knew pretty little about the modern era. Dansabau residents in Kankara Local Government Area of Katsina State had nothing to boast of. Then Governor Aminu Bello Masari showed up and everything changed. The governor was in the village to visit about 3000 internally displaced persons or IDPs fleeing Zamfara State amidst complaints of neglect and starvation. Dansabau village is located in the remotest part of the state and shares a boundary with Zamfara. The IDPs took refuge in the village, having escaped banditry attacks in Zamfara, their home state, where most of their relatives were killed or maimed in the wake of the attacks. The governor who went in company of the Secretary of the State Government (SSG) Mustapha Inuwa, officials of the state relief agency, SEMA, local government officials and traditional rulers, assured the refugees of a good taste of Katsina hospitality, care and protection from further attacks, adding that one of the key functions of every government is the maintenance of law and order. Not a few people, particularly the media, who were on the governor’s entourage, agreed that the governor’s visit to the locality brought to the fore the degree of neglect the area had suffered for years. Successive state and the federal governments made efforts in the past to provide some infrastructure for Dansabau but the lean resources of the governments essentially killed the plan. The bane of societal development has always been lack of adequate infrastructure that could easily spur economic growth and further add value to the lives of the people. The situation is further heightened by the absence of the needed political, which has remained a constant factor that draws back the provision of infrastructure to the people. Thanks to the governor’s visit, a road is being built in Dansabau, and its people as well as those of adjoining communities are thrilled. The road has opened up the communities to trade and commercial activities as well as linked them to the local government headquarters. Ibrahim Mohammed, 58, a local cleric, also told The Nation in Hausa, that he could not hide his joy on the rapid transformation the community is witnessing under the Governor Masari administration. The present administration concentrated on building rural roads, rehabilitating or expanding others in order to link two or three more local governments within the cluster of communities in which the roads are sited. The construction of Kankara-Zango-Dansabau and Dabai-Kahutu-Sundu roads has in no small measure opened up the rural areas and in the process ushered in civilization and rural development. In addition, the roads have been constructed taking into consideration the provision of bridges, culverts, pedestrian walk-ways, solar street lights and drainages among others. Before the present administration in the state some of the communities in which these roads have been opened or reconstructed had never had it so good while in others had virtually been turned into death traps. Several lives and property running into millions of naira had therefore been lost on such roads following fatal accidents. The current state government’s intervention in the provision of standard roads in critical areas that needed them the most, has continued to make a difference through saving the lives of passengers, pedestrians and other road users. It has also helped in opening up various communities, thereby eliminating disconnect and eventually connecting them socially, economically and politically. 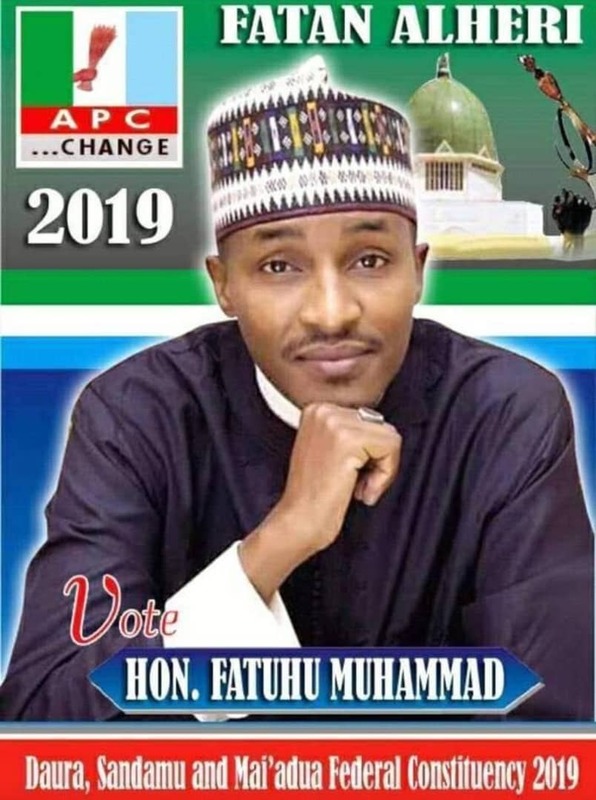 Successive Katsina State governments knew that the state, being one of those ravaged occasionally by the yearly floods did not pay much attention in solving the perennial problems, unlike the Masari administration which has taken the bull by the horn in addressing the lack of drainages. Also the government provided them electricity through connecting them to the national grid, the provision of additional transformers and the replacement of obsolete, broken down poles, transformers and electric cables. 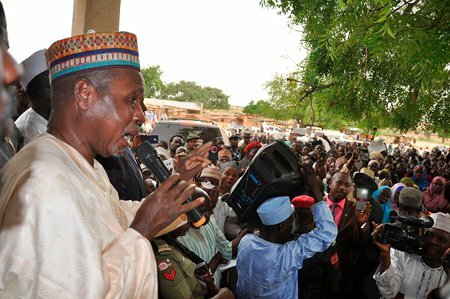 Masari assured the citizens that his government would not relent in providing succor to them within the limited resources of the state government. The governor’s response by ordering immediate rehabilitation of the schools in the area and the resuscitation of education received deafening applause from the crowd. Other relics of abandonment include the fallen structures of the community post office block which from all indications had remained out of use for quite a while. The warm reception given the governor who often waved to the cheering crowd from the window of his car, or at other times came down to physically meet them, left no one in doubt that he is indeed a grassroots man.